Legislation, growing demand and a limited potable water supply have increased our reliance on alternative water sources. As a result, water used for irrigation is harsher today than ever before. You told us you need a spray specifically suited for the most challenging environments. You also want a spray that will conserve water and provide years of worry-free performance. The new Rain Bird® RD1800™ Series Spray is proof that we’ve been listening. 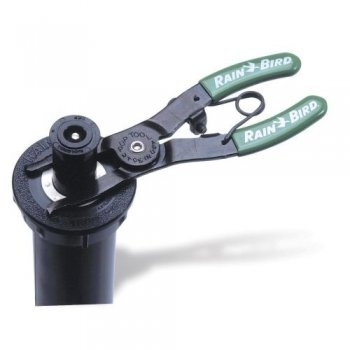 The Rain Bird RD1800’s exclusive Triple-Blade Wiper Seal prevents stick-ups. 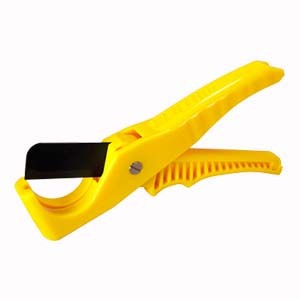 Its innovative design handles the thickest grit and most dramatic pressure variations with ease and its exclusive Flow-Shield™ Technology helps you identify and solve problems faster. 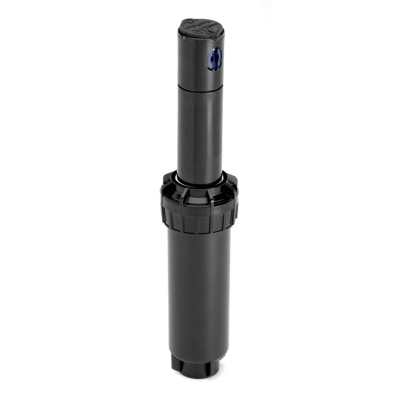 The Rain Bird RD1800 is available in both potable and non-potable versions. 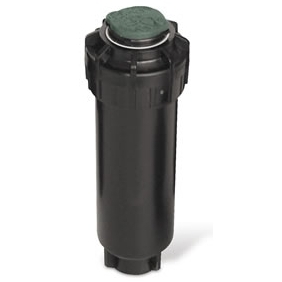 RD1800-P30 and P45 versions also feature Rain Bird's Flow Optimizer™ Technology. The patented PRS pressure regulator built into the stem can help you save approximately one gallon per minute per spray. It also helps to end misting and fogging caused by excessively high water pressure. 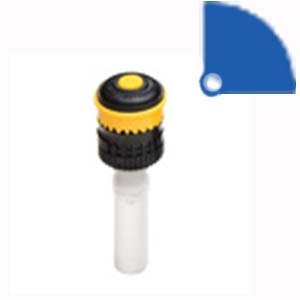 The co-molded, pressure activated, Triple-Blade Wiper Seal assures positive seal without excess “flow-by” which enables more heads to be installed on the same valve. A base seal provides a positive seal during operation and Triple-Blade Wiper Seal serve to precisely balance flushing, flow-by, and debris protection to optimize performance and durability during pop-up. Precision controlled flush at pop-down clears debris from the unit, ensuring positive stem retraction in all soil types. Debris pockets in the base of the spray body collect debris and prevent recirculation in the body during operation reducing wear. 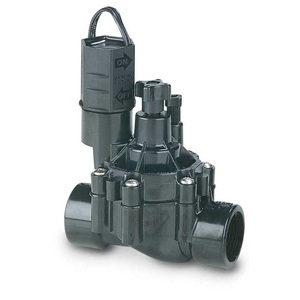 Designed for use with all Rain Bird plastic spray head nozzles – Rotary Nozzles, U-Series, MPR, HE-VAN, VAN, and SQ Series. Parts developed to be resistant to corrosion in treated recycled water containing chlorine and other chemicals. Strong stainless steel spring provides reliable stem retraction and withstands corrosion. Reinforced ratchet mechanism on all models allows easy nozzle pattern alignment without tools, withstands chemicals in recycled water, and prevents pattern misalignment over time. Pre-installed 1800 Pop-Top™ flush plug blocks debris from entering after flushing and allows for easy nozzle installation. Constructed of time-proven UV-resistant plastic and corrosion resistant stainless steel parts, assuring long product life. Side inlets featured on non Seal-A-Matic™ (SAM) models only. SAM Models: 0 at 15 psi (1.0 bar) or greater; 0.5 gpm (0.1 m3/h; 0.03 l/s otherwise. All Other Models: 0 at 10 psi (0.7 bar) or greater; 0.5 gpm (0.1 m3/h; 0.03 l/s otherwise.